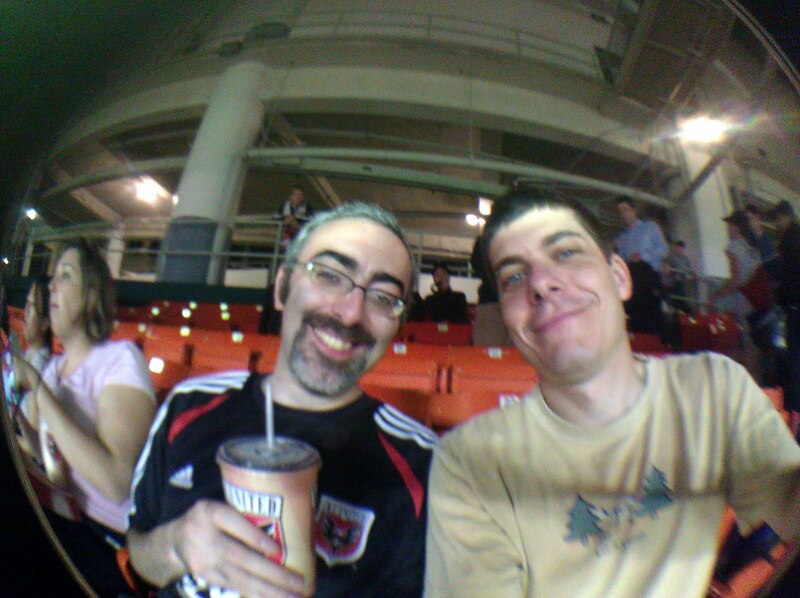 Last night, I hit my second DC United game with my buddy Greg. This time we sat on the opposite side of the rowdy section, so we remained seated more or less the entire game. It wasn't quite the all out scream fest we had last time, but did actually give me a chance to kick back, relax, and enjoy some soccer with friends. 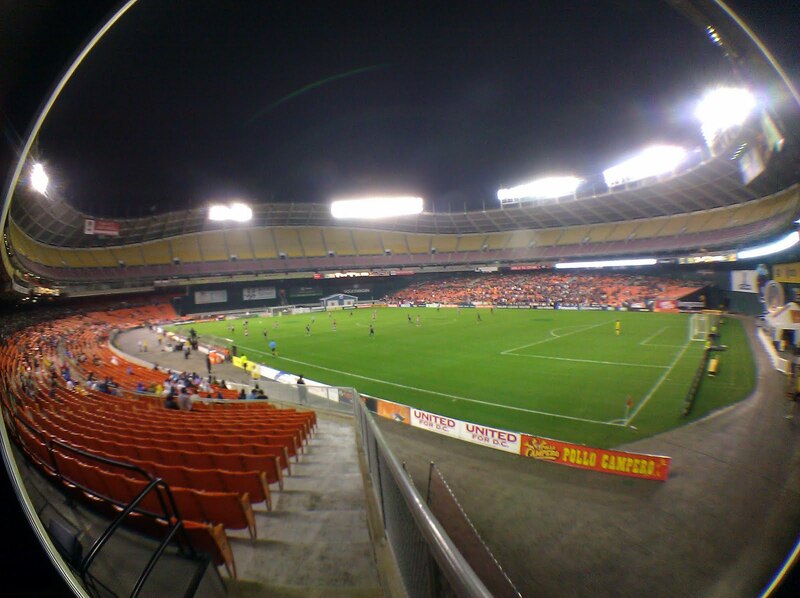 While there were more people there last night than my first time, RFK stadium was still mostly empty. It makes for an odd experience to look across the way at all those empty seats, and to remember there was a time when every seat in the house would be packed. The food was surprisingly good - I had an authentic cheese pupusa and dippin-dots (ice cream of the future!). Sure, I paid an arm and a leg for it ($4.00 for a bottle of water!! ), but it was definitely worth it. The score was 2-2 -- with the DC United giving up two goals near the end of the match. It looked like they were going to win out, but in the end, they had to settle for a tie (got to love soccer and their ties). It was lots of fun, and a must do activity if you've never tried it.